Carbon monoxide alarms are just one of the things that help keep your family safe during winter heating season! Carbon monoxide is responsible for poisoning more than 10,000 people every year across the USA, over 400 of whom die. With furnaces running longer to keep your home warm this winter, we want to help protect natural gas consumers in the Atlanta Gas & Light service area. Read on to find out how your family can avoid this danger! This is how Savannah Fire Rescue Chief Joseph Bandy described carbon monoxide poisoning after a mother and her daughters were rushed to hospital. But what is carbon monoxide, and why is it so dangerous? Firstly, it’s worth clarifying that this is not the gas we use to heat our homes. Natural gas safety is important, but that’s the fuel we use in our furnaces – carbon monoxide is a byproduct created when our furnaces burn natural gas without enough air. It poisons us by preventing our blood cells from distributing oxygen through our body. Rather than carbon dioxide, which gives up oxygen easily, carbon monoxide holds onto it, eventually causing us to suffocate. How Can I Detect Carbon Monoxide? As mentioned, carbon monoxide is odorless and colorless. 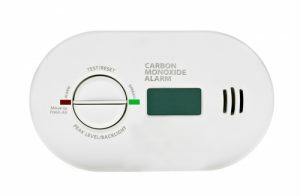 Unlike natural gas, which has mercaptan added to provide a warning scent, carbon monoxide cannot be identified without the use of a detector. Every home that burns fuel of any sort should have a carbon monoxide detector. These can cost as little as $20, and it’s a good idea to fit them in the sleeping areas of your home. The best thing you can do to avoid the potentially fatal effects of carbon monoxide is to understand where the risks lie. Any appliance that burns fuel will produce carbon monoxide – furnaces, stoves, fires, and generators are just a few of the most common examples. Normally, furnace exhaust gas exits your home through the chimney or vent pipe safely without leaking carbon monoxide into your home. However, a common cause of carbon monoxide leaks comes from cracks in the heat exchanger. This can allow exhaust gases to escape into the living area of your home, leading to potential carbon monoxide poisoning. New efficient natural gas appliances are less likely to suffer from this than old ones, which will start to wear out over the years. Your best defense against this is scheduling regular furnace maintenance appointments. A professional will know what to look for and warn you if your furnace could leak carbon monoxide. Invest in several carbon monoxide detectors – install them in your sleeping areas. Ensure your furnace has unobstructed supply of fresh air. It will produce carbon monoxide when it doesn’t have access to enough air. Schedule yearly furnace checkups. Get one immediately if it’s been more than one year. This is especially important advice during the colder months. We’re still seeing high consumption of cheap natural gas in Georgia, which means more potential danger from carbon monoxide. Take care and stay safe – a little effort now could pay off big in the long run.